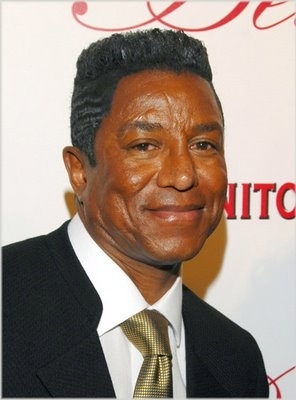 *Sheriff’s detectives are now investigating the reported theft of $192,000 in jewelry and luggage from Jermaine Jackson, reports the AP. As previously reported, Michael’s Jackson’s older brother reported the theft of watches, rings and other jewelry after returning to Southern California from a vacation in mid-September. Detectives say so far there are no suspects and no clear leads. Authorities say Jackson and his wife noticed the items were missing on Sept. 18 and realized that one of the doors of their Calabasas home had been left unlocked. all Mr Chahlie gotta do is put him under a hot light, after a few minutes, although be seconds, ’cause he always looks like he’s melting any way, the truth will start (if you will) oooooozing out. No suspects? Uh-huh. Look for the trail of Crisco leading from the master bedroom to the “unlocked” door…. Hmmm the sheriff is suspicious of this so called theft. Jermaine did it for the insurance money. He owes a lot of child support.